Trespassing is basically knowingly going or remaining in a place where you are not allowed to be. There are a variety of reasons why someone may be accused of trespassing, whether it be because of a misunderstanding or because someone was extremely intoxicated. The two main types of trespassing are indicated by their degree. Trespassing 1° is when you knowingly ender or remain unlawfully in a building. This is a gross misdemeanor which has a maximum penalty of 364 days in jail and a $5,000 fine. There is no mandatory penalty though. This would normally be the charge you face if you are asked to leave an establishment, like a Bellevue bar, but refuse to do so. A step down is trespassing 2° which is a misdemeanor. 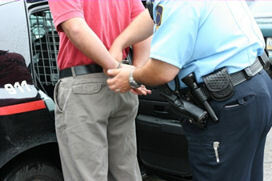 Misdemeanors are punishable by up to 90 days in jail and a $1,000 fine. This degree is just like 1° except there is no building involved. So if you trespass onto someone else’s property but do not go into any buildings, then you could be facing this charge. If you are being accused of trespassing, contact our Bellevue office. Our firm's experienced, skilled criminal defense lawyers will help you understand what you are facing and let you know your options.